I had not intended on doing any roof work on this house myself. I’ve done roofs. I don’t like it. Under the best conditions…and even if you are in the best shape, it is hard, brutal, knee and back bruising work. 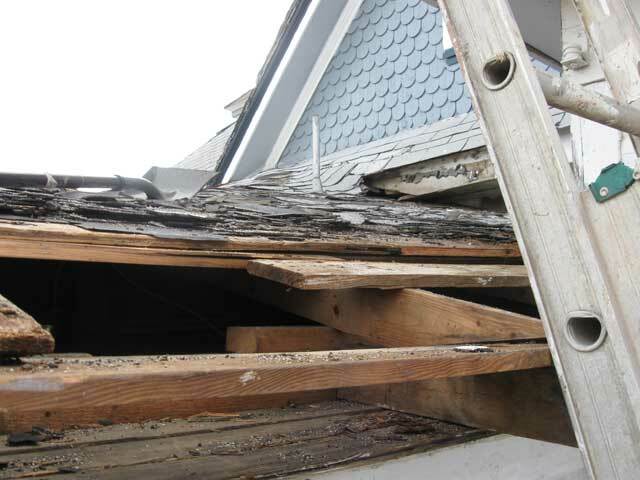 When we looked at the house, I could easily see the roof needed work, but expected we could get by a few years. 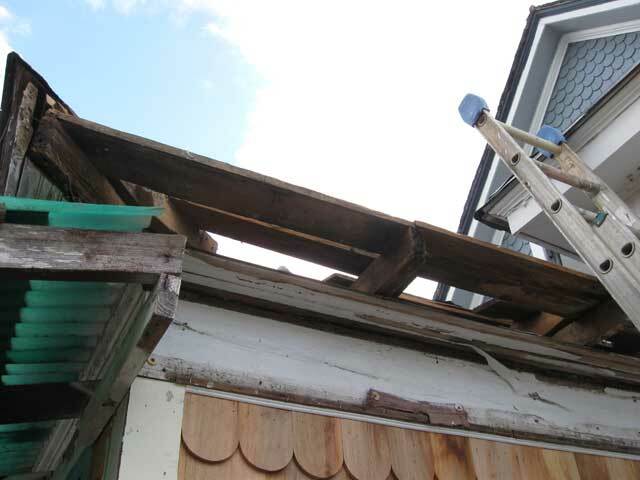 We then budgeted for a complete new roof 5 years down the line. But alas…best laid plans and such. 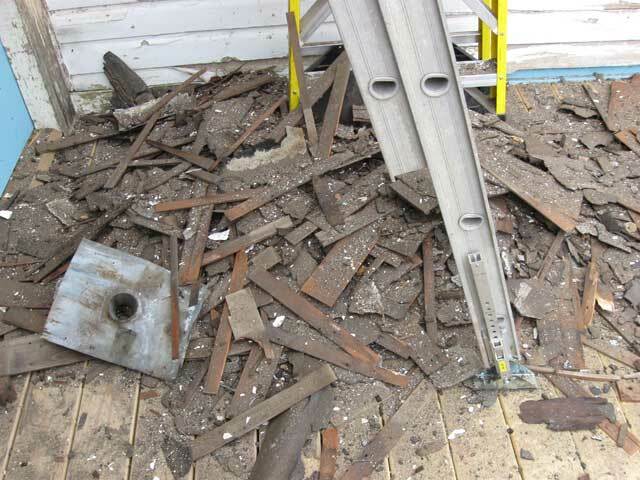 Mostly, the roof doesn’t leak…but there was one place it did, it was almost inevitable the way it was done at this location…and that was leaking into our utility/mud room, which is our current project. We couldn’t insulate the mudroom and button up the walls with this leak…and we are not ready for a complete new roof yet…so I had to fix it. Y’all might recall this picture from when we were installing the French doors. 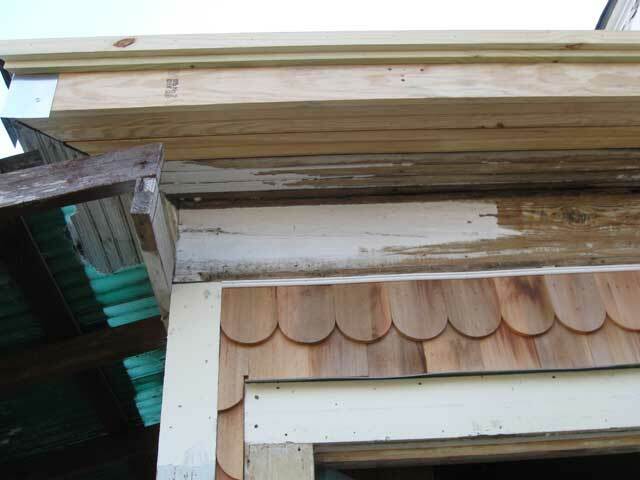 Note the blown out eave above them? 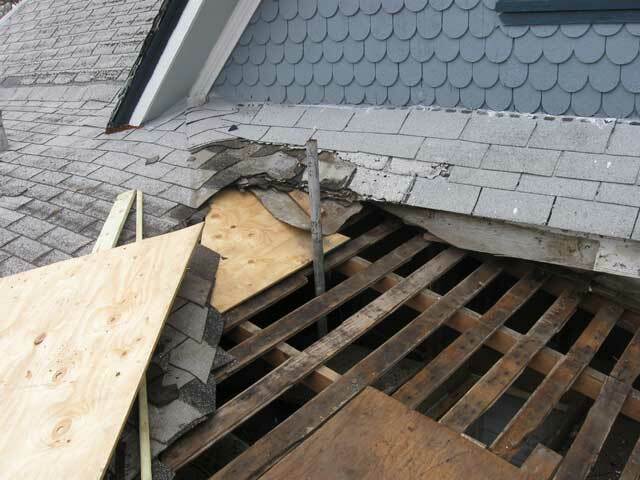 This was one symptom of the roof problem. Almost all the water on that break of the roof was entering that eave. Whatever water didn’t get into the eave was leaking down the wall inside the house. It wasn’t so much a problem before, as this was screened in porch. But now it’s going to be our mudroom. I figure it’s pretty much always been leaking. 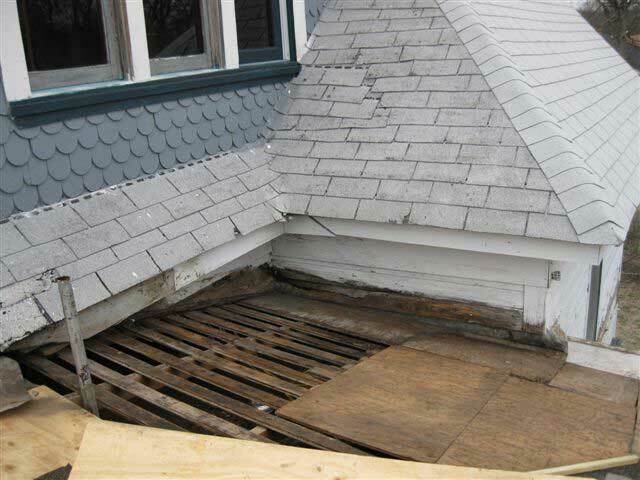 The eave was complete rotten and had to be fixed first. 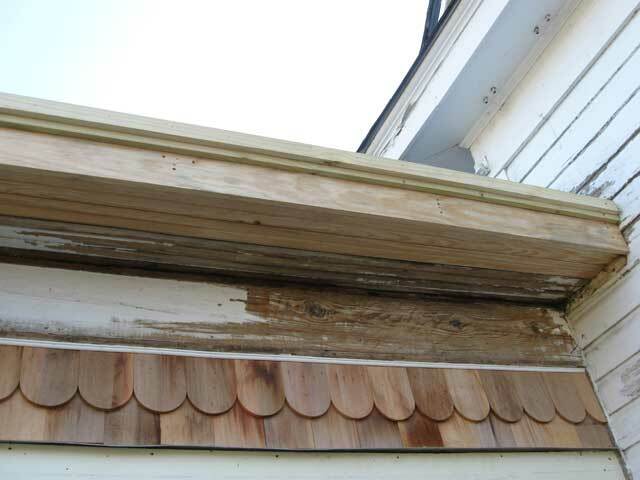 After some disassembly, all the bad wood is removed and I can start putting the eave back together again. After a few hours work, the eave is reconstructed. Looks pretty good, yes? Now it’s safe to actually get on the roof from this location. They say a good friend will come and bail you out of jail. 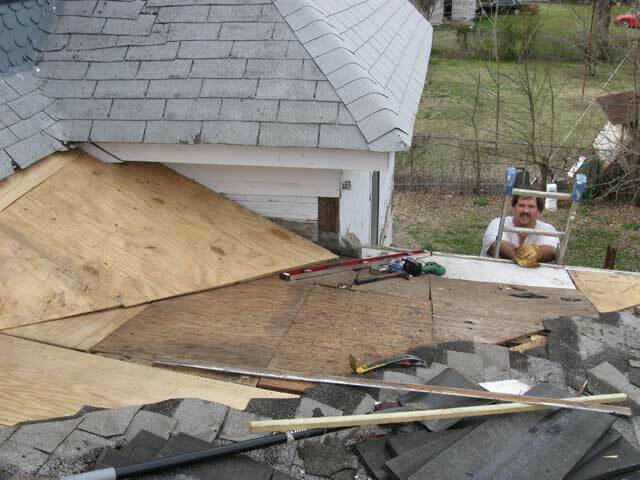 What do you say about a friend that will come help you do roofing? Especially when he knew roofing was on the agenda? Anyway, my friend Mike came up to help with the roofing part. I needed the assistance to build the new break/valley and the rest of the miserable (back and knee bruising work) just to get this small segment done. 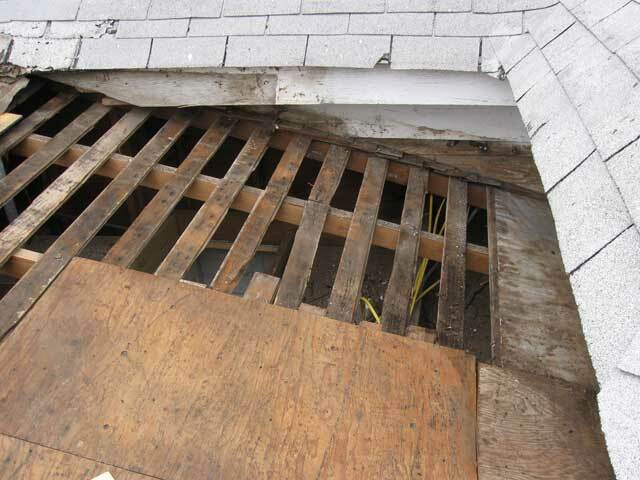 About 11 layers of shingles were crammed down there. We even hit those hexagonal composite shingles popular about 40 years ago. Those were over a layer of cedar shake. The bottom layer or so…we bagged it all up in contractor grade bags and will spend the next several weeks filling up our trashcan. This is about 10% of the mess we actually pulled off…but the wife was bagging in the meantime to save us work later. 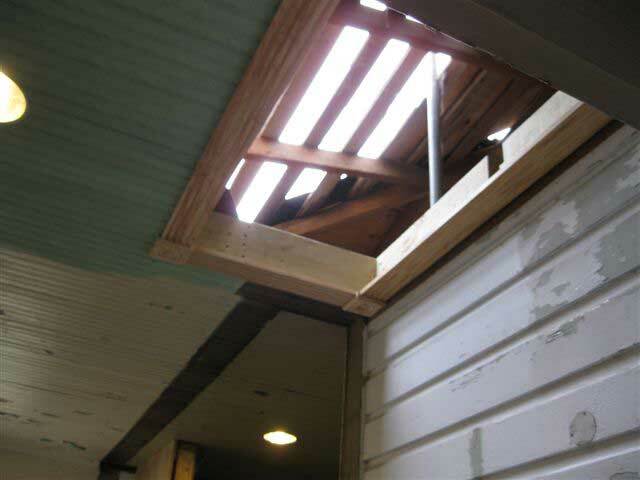 It can be somewhat disconcerting to see bright daylight coming out of the attic hatch inside your house…and you know this is exactly the minute the radio predicted rain! Daylight through the roof...always a scary thing. You can see the problem…with this break hitting right up against the kitchen wall. I figure they’ve been fighting a leak here for the last 50 years or so (since this addition was put on). Another view...I figure this has pretty much ALWAYS leaked. So…first thing we did was frame up a new break to the roof…directing the water away from the wall and into a new valley. That’s me on the ladder in the pic above. 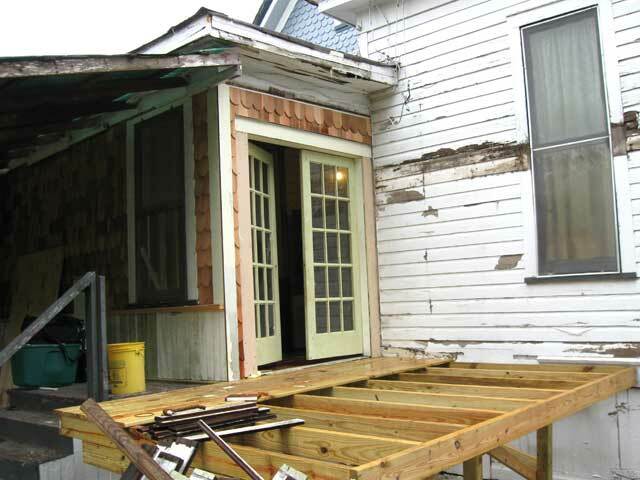 Ignore that big level sitting on the roof…a level has limited use in a house like this…anything that actually reads level is probably broken. We flashed the new valley and all the edges properly and re-shingled. That part goes pretty fast once you start and we neglected to get any pictures of the flashing or the completed roof…I’ll have to take one of the finished project later just to have one to post. We finished this up on Thursday. Saturday we had 3 inches of rain and Sunday we had snow! Not a drop dripped. Success!